A Rocket Lab Electron booster will launch the R3D2 satellite for DARPA, the Defense Advanced Research Agency. Liftoff is set for no earlier than 6:30 p.m. EDT (2230 GMT) from Rocket Lab's Launch Complex 1 on the Māhia Peninsula in New Zealand, where it will be Monday local time. Rocket Lab has a four-hour launch window for the flight. You'll be able to watch the Rocket Lab launch on Space.com, courtesy of the company's livestream. You can also watch it directly from Rocket Lab here. The webcast will begin 15 minutes before liftoff, and could begin later in the launch window if needed. "Weather is looking great for Sunday UTC," Rocket Lab CEO Peter Beck wrote on Twitter last week. Today's liftoff will mark the first launch of the year for Rocket Lab, which hopes to follow it with monthly flights throughout 2019. The mission has been delayed since February due to a DARPA holdup in delivering the R3D2 satellite to Rocket Lab's launch site. The R3D2 prototype spacecraft antenna is seen in packed and deployed positions. 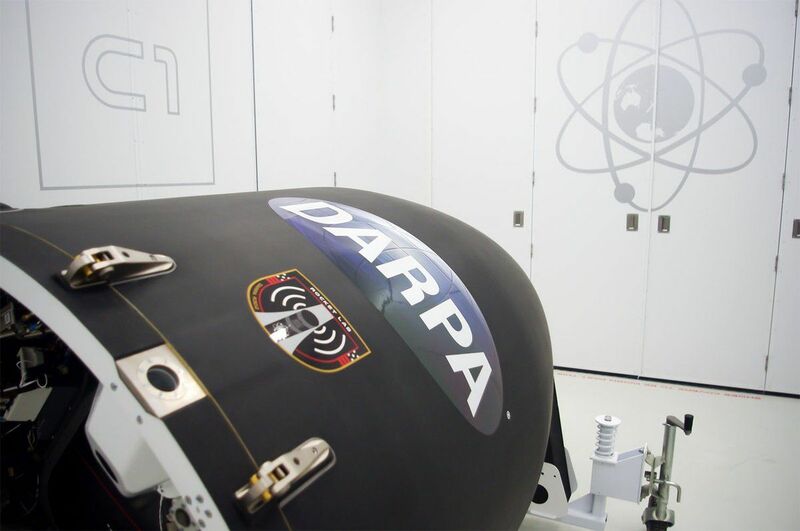 DARPA will launch the satellite test flight on a Rocket Lab Electron booster.